After living in Nashville for four years and running The Honest Consumer for two, I've learned about so many wonderful businesses that have a positive impact on this city and beyond. If you live in Nashville or are traveling to Nashville, I encourage you to check out some of these amazing places. 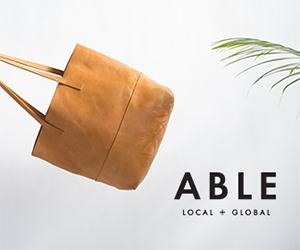 ABLE is one of the larger ethical fashion brands in the Nashville area. ABLE works to empower women locally and globally, providing jobs for women to lift themselves out of poverty. ABLE carries a variety of trendy apparel, fun shoes, and unique leather bags. ABLE's chic shop can be found in West Nashville on Centennial Boulevard. Project 615 is a great place to find comfy tees that are unique to the Nashville style. Tees include references to country music, popular spots around town, and partnerships with non-profits. Project 615 collaborates with non-profits to creating t-shirts related to their mission. For each tee sold donations are made to the specific non-profit associated with the tee. Project 615 also provides employments for individuals transitioning out of homelessness. With two location in the Nashville area, Project 615 is a must for shopping in Nashville. The minimalistic vibe of the Nisolo store is definitely Instagramable. The walls are lined with beautiful, high quality leather shoes and bags. Nisolo works with artisans in Peru to provide fair wages, sustainable employment, safe working conditions, to the artisans that craft their leather goods. Nisolo is a newly certified B Corp which shows their strong value for transparency within their supply chain. The Nisolo store can be found near north Nashville off of 9th Ave. The Shine Project works with inner city youth to provide employment opportunities, allowing these motivated individuals to save money for college. 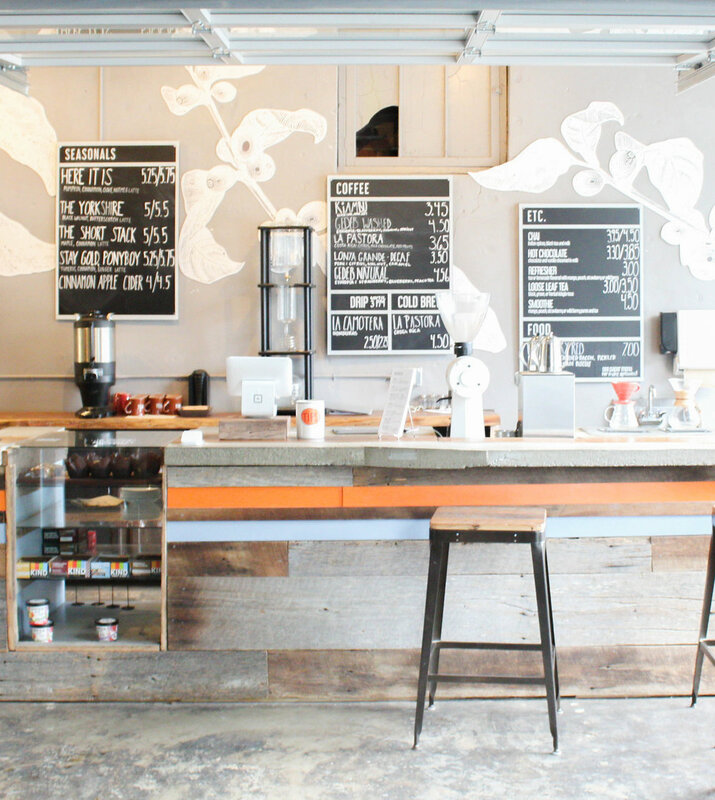 Headquartered in Arizona, the first Shine Project brick and mortar store was opened in East Nashville. The cozy store provides a wonderful selection of jewelry, perfect for accessorizing your wardrobe. The Cookery is a casual cafe style restaurant that serves breakfast all day, excellent burgers, and much more. Their American food with an Aussie twist is comforting and unique. The Cookery great for grabbing a cup of coffee to go or for bringing your laptop to work. The Cookery provides employment and other services to men transitioning out of homelessness. Support their mission and stop by for some food. The newly reopened Cafe at Thistle Farms is perfect for brunch or afternoon tea. Their menu feature comforting dishes with a fresh twist. Thistle Farms provides employment and transitional programs for women survivors of trafficking, prostitution, and addiction. Meet some of these inspiring women by stopping by the cafe for a quick bite to eat. And when you're finished head next door to shop Thistle Farms products. Nestled in a little house on 3rd street lies an eclectic gallery, Poverty & the Arts. Poverty & the Arts provides space, supplies, and a gallery for individuals transitioning out of homelessness. These individuals are able to express their journey through creative activities. Their art work is sold in the gallery and they are able to keep 60% commission from the artwork sold. Stop by and support these local artists today! The Well is the perfect place to grab a cup of coffee and relax. The Well works to make a difference in both local and global communities by using a portion of proceeds to build wells in Africa. So far The Well has been able to build 19 wells due to the local support from their customers in Nashville. With multiple locations, The Well is a great hang out spot for freelancers, students, and any one in the mood for a cup of joe.